The Need for Mobile App Development Strategies and Consulting. K3 Web Creation is one of the Mobile Application Development Company from Mumbai, India that started making Android, Windows and IOSApps. We have always provided best in class service in Mobile App Development Outsourcing Services till date. When you choose K3 Web Creation, you are partnering with most Cost-Effective Team that has been Designingand Developing Feature-Rich Mobile Apps for years. K3 Web Creation hires the most Intelligent, Proficient and Tech-Savvy Mobile Apps Developers. Our developers have in-depth knowledge of major platforms or frameworks used for Mobile App Development. With a Team of Dedicated Developers, Designers, and Creative Engineers, we can provide on-demand capacity to help you meet challenges, tight deadlines and promises to the marketplace. Being a Mobile Application Development Company in Mumbai, India, we are expert in Development of Enterprise, E-Commerce, Educational and Utility Mobile Apps. Our Mobile App Developers have experience of Developing Critical, Data and Performance Intensive Apps using Cloud Web Services like AWS (Amazon Web Services), iCloud, Rackspace, Azure, Dropbox, Amazon S3, and Content Delivery Networks etc. 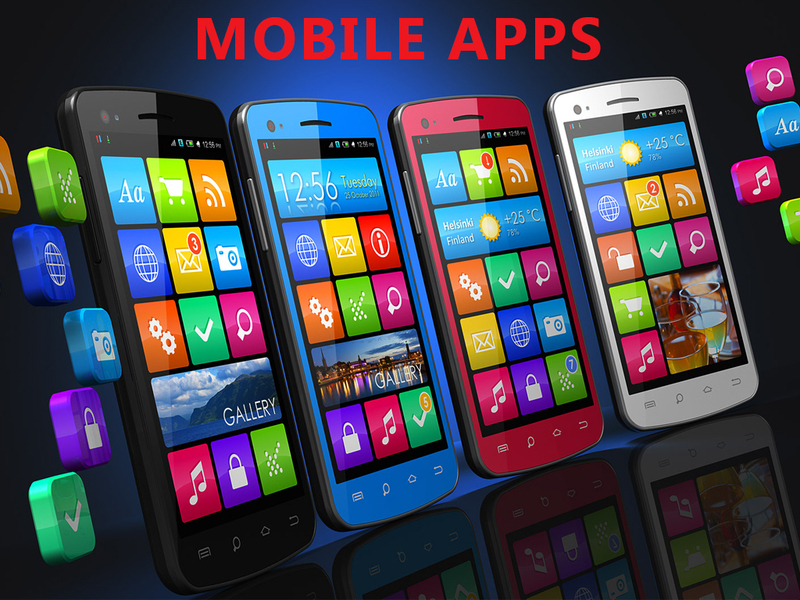 So your search for Best Mobile Application Development Company in Mumbai, India for IOS, Android and Windows ends here! K3 Web Creation provides 100% Customer Satisfaction and believes in building long term business relationship to help achieve your business goals. Objective-C is a fundamentally simple language. Its syntax is small, unambiguous, and easy to understand. It is an object-oriented programming, with its self-conscious terminology and emphasis on abstract design, often presents a steep learning curve to new recruits. Swift is a new programming language for IOS and OS X Apps that builds on the best of C and Objective-C, without the constraints of C compatibility. Swift adopts safe programming patterns and adds modern features to make programming easier, more flexible, and more fun. Swift’s clean slate, backed by the mature and much-loved Cocoa and Cocoa Touch frameworks, is an opportunity to reimagine how software Development works. Java is designed to have the “look and feel” of the C++ language, but it is simpler to use than C++ and enforces an object-oriented programming model. Java can be used to create complete applications that may run on a single computer or be distributed among servers and clients in a network. It’s designed to be platform-independent and secure, using virtual machines. It supports a model of plug-in architecture that means developer can extend the functionality of the app in a modular way. With the help of PhoneGap, it is easy to distribute and market the application at the App Store. This platform has been integrated with different libraries that eases the enhancement of application’s functionality and saves Development time. Considering the nuances of application Development, the terms “front end” and “back end” are distinctions which refer to the separation of concerns between a presentation layer and a data access layer respectively. In simple words, front end is what you see and the back end is how it works. The front end is an interface between the user and the back end. The front and back ends may be distributed amongst one or more systems. When we talk about operating the back end of a given Mobile Application, the programmers are concerned with launch of the application, updates, and maintenance, among other things. All of that works to support the front-end of the application. The back-end has three parts to it: Server, Application, and Database. In order to handle the back end of given applications, programmers or back end developers have to deal with back end technologies that includes languages like PHP, .NET and Java. PHP is one of the back end language which is known as the scripting language. When a PHP Page is requested, the server parses the PHP Code, which in most cases results in Dynamically Created HTML. .Net is an Open Source Programming Language that is created for building, deploying and running applications and services that use .NET Technologies. Java back end is software running on a server connecting to databases and mainframes. Make the most out of your iPhone application. The IPhone App market is incredibly lucrative, but in order to be successful, you have to have the right app, the right functionality, the right rollout and the right support. The true measure of success for IPhone App Development Companies is the results they’re able to achieve for clients. Our design and Development process is innovative, forward thinking and capable of delivering considerable ROI in the end. Our design and Development process starts not with a technical schematic or spreadsheet, but with a sit-down discussion with you. We go in-depth in determining what drives your company, what you hope to achieve through IPhone App Development, and what audience you’re trying to reach. Once we have a full grasp on these metrics, we get down to the nuts and bolts of it all. Building an App and getting people to download and use it is needs a very specific set of skills. Your app has to be technically polished, gorgeous to look at and provide a great user experience besides delivering value. IOS Platform has always been the first choice for Premium App Developers who later on tend to decide to push their products to various platforms. IOS has indeed scored way higher when it comes to critical factors like App Profitability and App Development Environment. With that, an increasing use of IOS Devices across the globe has compelled the business owners to Develop IOS Apps to meet the user expectations. Advantages of choosing IOS App Development. IOS offers an easy to use interface. It is a platform to reach out to a larger audience. IOS offers an opportunity to develop high-quality apps. Offers a cluster of customers willing to pay more. Availability of secure online transactions via IOS apps. Avail cost effective solution to enhance profits. Involves less money and time for App Development. Step into the promising market of enterprise computing. At K3 Web Creation, our IPad Developers create IPad Apps proficiently with excellent processes and project management, meaning your Apps are delivered on time. We can assist with the whole process from inception to the end when the IPad App is submitted to the Apple Store. Apple’s iPad remains one of the most popular consumer devices – IPad App Development is the ideal way to reach your target audience, particularly if you’re marketing to consumers and not business users. Our IPad App Development Solutions take you from zero to full rollout without any stress or confusion, and our IPad App Development Company, Mumbai, India truly makes a difference not only in the design and build process, but in your total experience. Our IPad App Development process begins not with technical schematics or diagrams, but with a discussion. We discuss your goals, your needs and your budget. We talk about your target audience, and only when we have a firm idea of what you hope to achieve and how we’ll do that does our IPad App Developer team go to work designing your app. We’re different. Our Android Apps run glitch free across 80% android devices to maximize revenues. Irrespective of your business niche or your target demographic a substantial number of your prospects and current customers are Android users. The Google Play App Store hosts more than 675,000 apps and have recorded more than 25 billion downloads. Why consider a native Android App? We’re an App Development Company that believes in leveraging each App Store to the fullest, but also making the most of the various operating systems out there. Android is very different from IOS, and our Android App Designers have the skills and experience necessary to capitalize on that difference. Our Native Android App Development Services ensure that your app is optimized for speed, performance, look and feel on devices running different flavors of Android, from Ice Cream Sandwich to KitKat. Known for its largest installed base across any mobile platform, Android is backed by millions of dedicated users. Interestingly, this user base is growing swiftly as every day another million user’s power up their Android Devices for the first time only to discover Apps, Games and Various Digital Content. Android is App Developer’s favorite for it serves a world-class platform for creating Apps and Games for Android Users, and an Open Marketplace in the form of Google Play for distributing the apps to the users instantly. Advantages of choosing AndroidApp Development. Witness low investment and high ROI. Opportunity to target wider market. Witness an easy to integrate process. Avail an open source platform. Experienced and Talented Professionals to Shape your App. Choose Developer’s favorite and limit Development cost by 200% with Phonegap. One of the most popular of this Cross Platform Framework is Phonegap. It is used by many Cross Platform App Development Experts and gives great results. However, along with the advantages, it also comes with its own share of limitations. We have been working on PhoneGap Developmentsince its launch and have gained extensive experience in Developing Superior Mobile Appsusing PhoneGap Development. Advanced PhoneGap programming by our professionals will give your app a cutting edge over others. Strong web Development background for solid Mobile App Development. Expertise in mobile App Development for business utility to exciting Games. Easy access to assistance even after project delivery. Cut costs with Parse and Leverage your App with the power of cloud. Social Apps are highly data intensive and call for huge investments on servers. Parse App Development stands out as a perfect and an economical option to solve this issue. With Parse you have no need to worry about the server maintenance and complex infrastructure. Parse has a single backend for all the Mobile Operating Systems like IOS, Android and Windows Phone 8. Hence with the ready framework available for Leading Mobile Operating Systems, the process of developing an app becomes less time consuming and highly economical. Most apps these days require Social Media Integrations and Push Notifications. These features being the most important ones in Parse make it the Most Preferable App Development Platform. Leading brands trust Parse for their apps. With Parse App Development you can create broad variety of apps across different categories such as Social Networking Apps, Games, Health and Fitness, Lifestyle, Music, Photo and Video Sharing, E-Commerce, Travel, Utility, etc. Hence Parse is a perfect choice for creating beautiful and feature rich Mobile Apps. Why go for Parse App Development? One backend to create Mobile Apps on IOS, Android and Windows Phone 8. Parse is a perfect cloud for your apps and hence you do not need any servers. Creating, Scheduling and Segmenting Push Notifications become easier with Parse. Mobile apps can be made social instantly using Parse. Custom code can be run on Parse cloud so there is no need of a server for your app code. Over 60,000 applications are powered by Parse. Do you want to use Parse for your application too? Contact us to discuss about your Mobile Application needs and it will be our pleasure to assist you about using Parse for your Mobile Apps.